I&apos;ve been inspired by all the amazing autumnal dishes out there on the flood blogs. 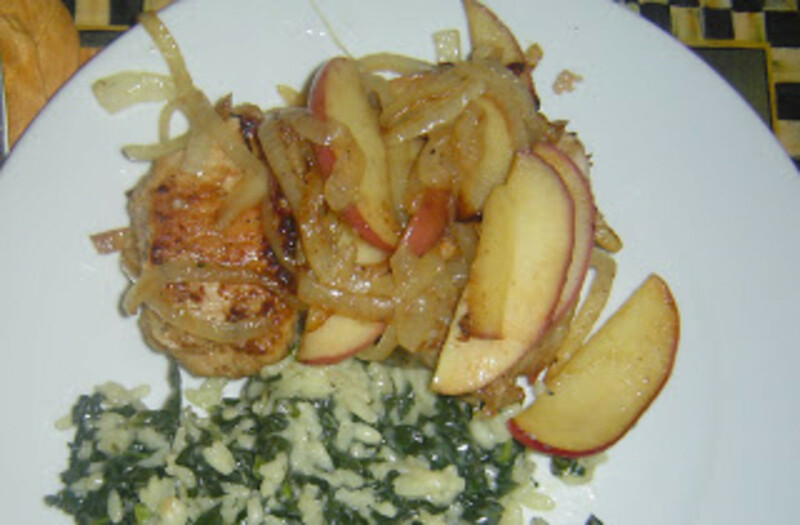 This week I bring you my sweet and simple pork and apple recipe. 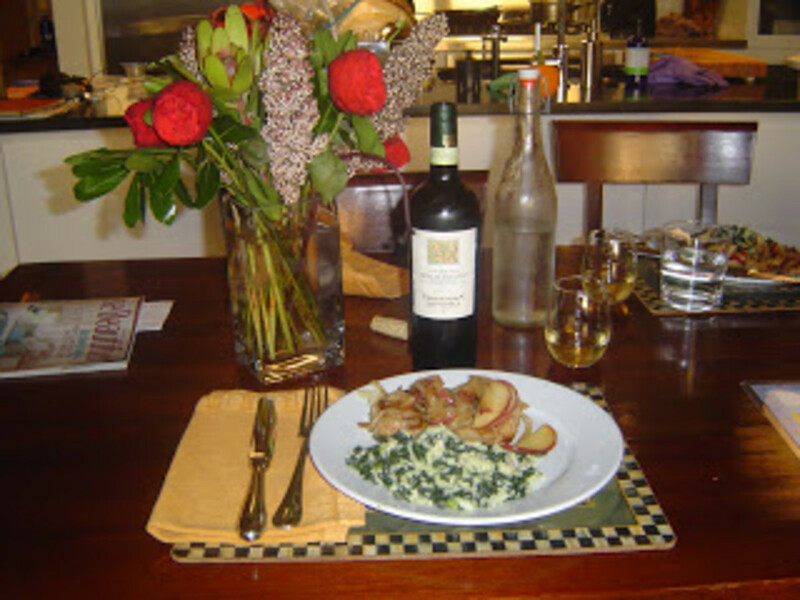 Since apples are in season this is a great dish to whip up after a day in the orchards. Directions: Rinse pork and pat dry. Season meat with salt and pepper. Dredge chops in flour on both sides. Heat oil in large skillet on medium high--saute onions 4 minutes. Add apples and saute another 2 minutes. Remove apples and onions. To the same pan, add the pork. Brown on each side for 2 minutes. Add apple and onion mixture and cover with lid--let cook for another 2 minutes on a low heat.